The Sandusky Register reports that cracks first discovered in the shield building at Davis-Besse in 2011 have grown since then. The concrete building protects the plant and its 900 MW PWR reactor from weather and aircraft and is designed to contain any radioactive leaks. Independent experts determined the cracks have not compromised the building, Jennifer Young, a company spokeswoman, told the newspaper. FirstEnergy told the Nuclear Regulatory Commission in July that a study showed the cracks could grow between 0.4 inches and 0.7 inches during freeze and thaw cycles. These facts did not cut any ice with Beyond Nuclear, an anti-nuclear group which is opposed to a 20-year extension of the reactor’s license. The NRC will make a decision on the license in 2017. Jennifer Young, a spokesperson for First Energy, responded that the utility has a monitoring program supported by bore holes to keep an eye on the cracks. 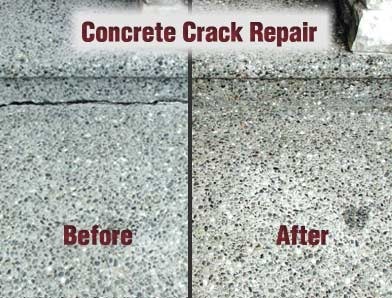 She said it is part of an Aging Management Plan that is based on standards established by the American Concrete Institute regarding crack growth. The cracks are caused by the freeze/thaw cycle of Oho’s winters. Young said when the shield building was constructed it did not have a weather proofing sealant against cracks. Now it does. She noted that the walls of the containment building (image below) are two-and-a-half feet thick. 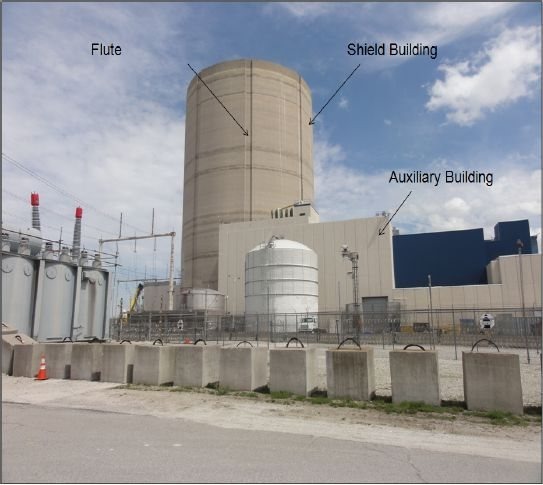 The NRC continues to inspect a shield-building concrete flaw at Davis-Besse that could become a factor in the agency’s decision on extending the Ohio nuclear plant’s license. 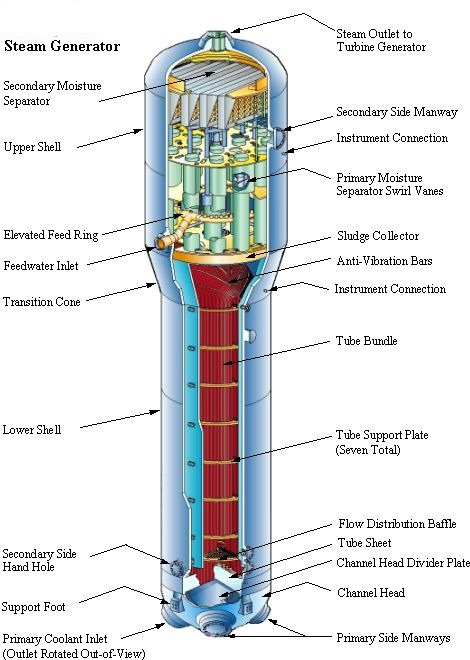 The blog Nuclear Street reported that while cutting into the plant’s shield building during the steam generator outage, crews discovered an air pocket 6-12 inches wide running the length of the opening. A report filed with the NRC speculated that the void was left in the concrete when it was resealed following a reactor pressure vessel head replacement in 2011. The report indicated an analysis of the concrete concluded the shield building could still adequately perform its safety function, and regulators plan to reconfirm these calculations. During a public meeting in late February 2014, an NRC inspector said the agency will issue a report addressing the gap later this year. While the plant was shut down for the steam generator outage the utility also arrange for 80 of Davis-Besse’s 177 fuel assemblies to be exchanged and numerous safety inspections and preventative maintenance activities were completed on components throughout the plant. The new generators installed during the shutdown are expected to enhance safe and reliable long-term operation of Davis-Besse. The steam generators function as heat exchangers, producing the steam that is used to drive the turbine generator, which ultimately produces electricity. Installation of the components was a massive undertaking, with each measuring 74 feet in length, 12 feet in diameter and weighing 470 tons. More than 2,300 temporary contractors and First Energy employees from the company’s other nuclear plants supplemented the Davis-Besse workforce to complete the outage projects. The steam generators were supplied by Babcock & Wilcox from a facility in Ontario, Canada. Bechtel Corp was the lead contractor for the steam generator project. The Davis-Besse plant is located just east of Toledo, OH, on the shoreline of Lake Erie. This entry was posted in Davis Besse, Nuclear. Bookmark the permalink. Nice article, but I’d change the U-Tube SG illustration with one of an OTSG.